Voice – Unique theme mostly used by bloggers as the theme is built with Blog in mind, hence can be called as blog theme as the theme emphasizes content and writers. 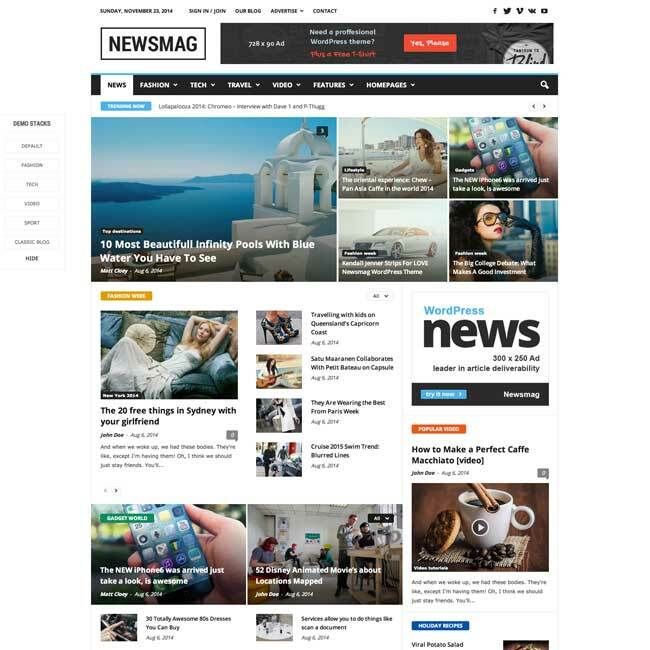 The contents of the theme are put in center focus as the bloggers prefer clear readability of posts rather than designing the theme with effects and transitions. 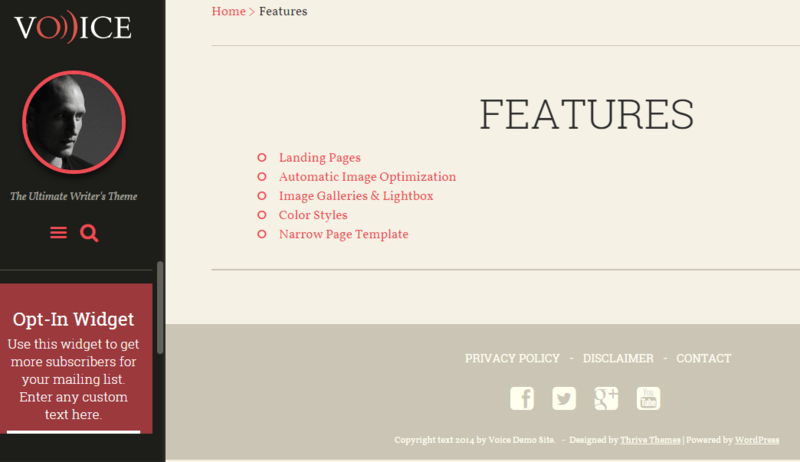 The theme does not support header, rather all the typography helps to put your content in the spotlight. 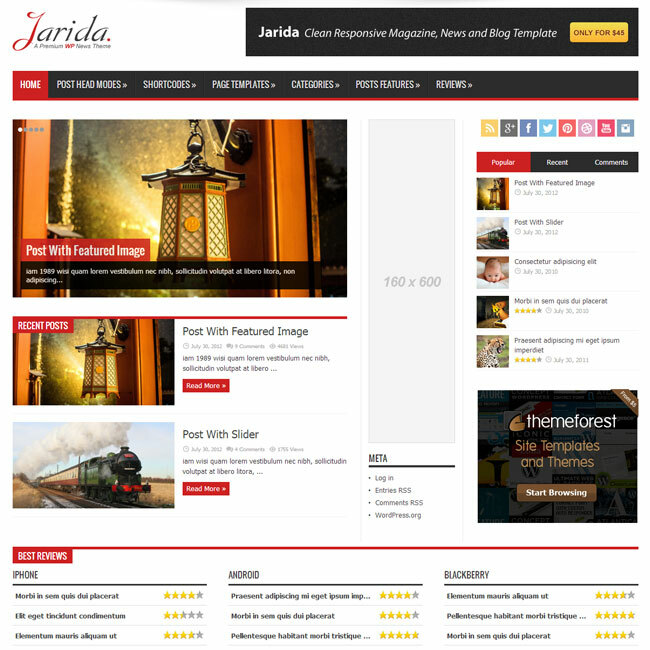 The sidebar of the theme contains the Author box. On hovering, it displays introduction about himself. There are different menu sections on the left sidebar such as blog page, features are listed and number of different shortcodes are created for creating image galleries and lightbox, tabs and toggles, Landing pages, Animated counters, Headline focus and many more are supported. Even the left sidebar displays all your popular and recent posts. The footer of the theme contains the social media icons to invite the people and let them know about this supercool theme. Easy customization support is provided by the theme, you are allowed to display whatever you want on the sidebar, in addition the theme comes in multiple color styles, color tons. You can change the color with the help of theme customizer. More common features included are : Responsive Design works great with all types of devices, hence it is also mobile ready, SEO optimized, Automatic page generator, dynamic sidebar backgrounds, Extensive admin options to change the look and functionality of the theme adding your own creativity and many more features. This theme is good one with its stylish layout. Designer has designed it really nicely. Suitable for my personal blog website. Great job thrive themes.